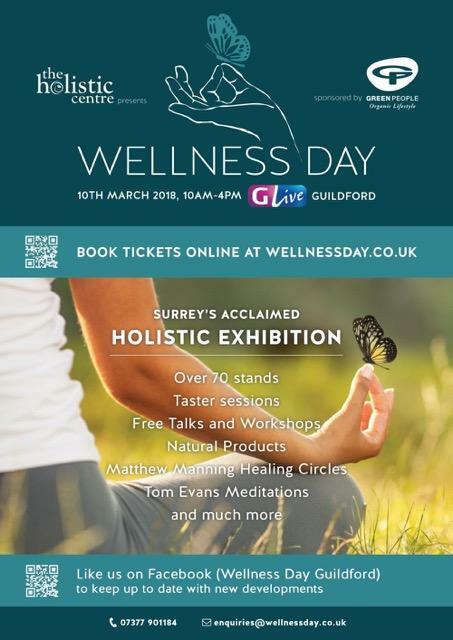 Join us for Wellness Day - Surrey's acclaimed holistic exhibition where there are over 70 stands, free talks and workshops focused on healing and natural products, meditations and more. This even was organized by The Holistic Centre. We will be there upstairs and you can also hear Nancy talk about our Klamath Blue Green Algae, and Lowell talk about our Micromax. To book tickets online or for more information, visit: www.wellnessday.co.uk.